What I love about helping out at my old elephant camp is that no two days are the same. Besides being a customer service specialist, taking care of the elephants and ‘mahouting’ a bit, I got to plan someone’s marriage proposal today. 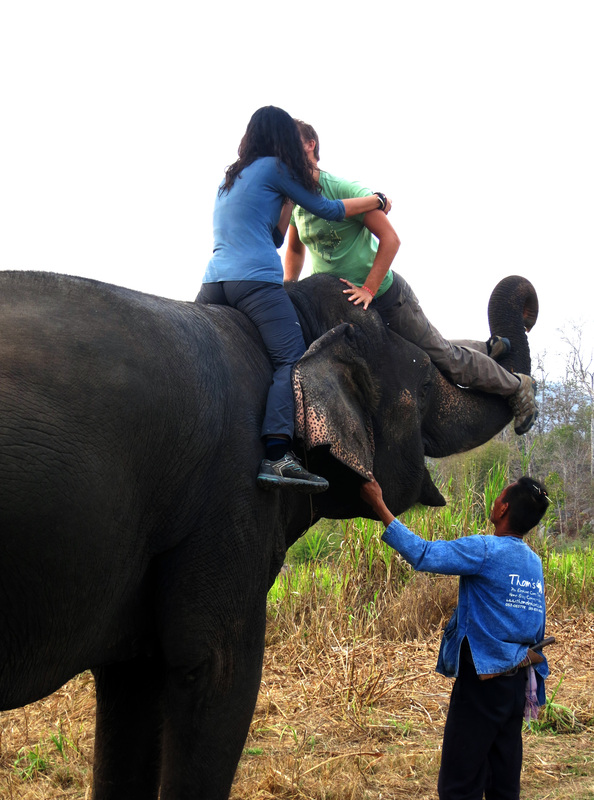 A French couple had booked a full day Mahout training course with us and the guy told us in the morning that he wanted to propose to his girlfriend on the back of an elephant but didn’t know how to do it. No problem! 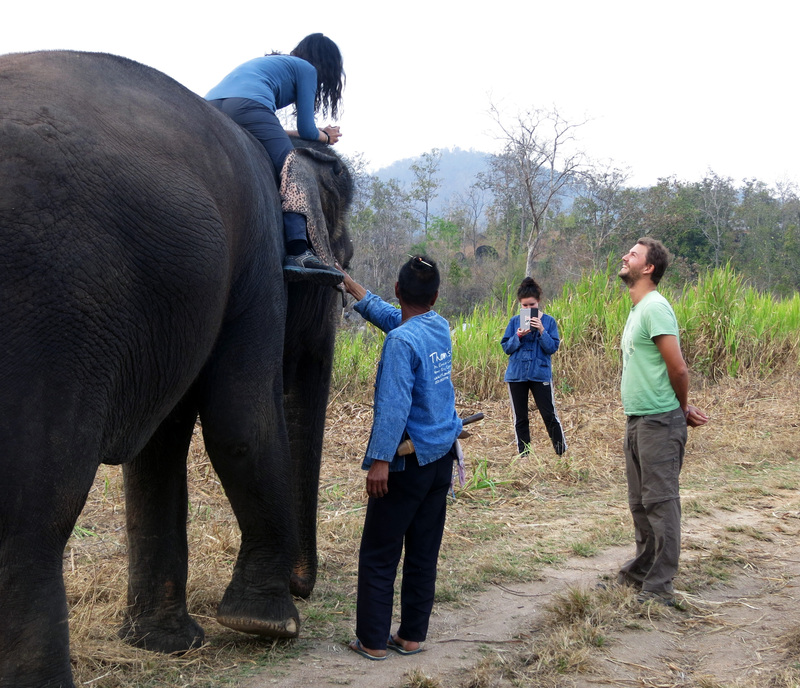 We recommended to do it in the afternoon during sunset when we bring the elephants back into the mountains. I suggested both should ride our friendly & kind elephant Ot up into the mountain (they would have been working with her for the entire day anyway); he should then get off and hand Ot the box with the ring and tell her to hand it to his girlfriend who would still be sitting on her. No sooner said than done: everybody at the camp helped walking the elephants into the mountains this afternoon, just to see what would happen. Everything went rather smooth, and when she held the box in her hands and he asked the four words long question, we all held our breath. As she hesitated for a bit, I was getting a little anxious. Would she say yes – or no? Then, finally, I could hear her ‘Oui!’ (and I started to jump happily up and down). The guy climbed on to Ot’s trunk, walked it up to her – and they kissed. Awww! All in all, it was a perfect proposal. Even though I usually hate romantic stuff, this experience really got to me and moved me deeply. And so here’s one last thought: if I ever get married, I wouldn’t mind having a similar proposal, just as long as I don’t have to come up with and plan it myself (dear future husband, horses instead of elephants will also do).